AU $229,000	Need Finance? Need Insurance? 1998 Martzcraft 46 now available for sale. 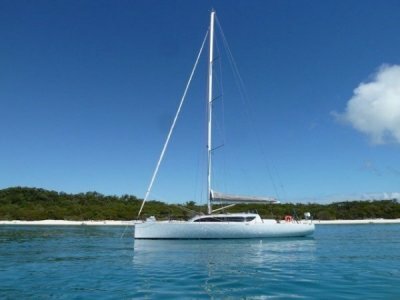 It's not too often these shallow draft lifting keel blue water cruisers become available for sale and Run To Paradise is a great example. 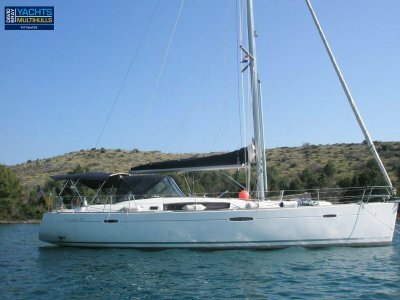 If you've been searching for a true blue water yacht like a Hallberg Rassy or Island Packet then you should not go past this immaculate Martzcraft 46. Two cabins each with their own enclosed shower and toilet. The owner's rear berth is huge, with a queen size island bed and plenty of storage with easy access to the head. She was originally built to survey so her bones are strong and has been lovingly maintained by her current owners of the past 6 years. 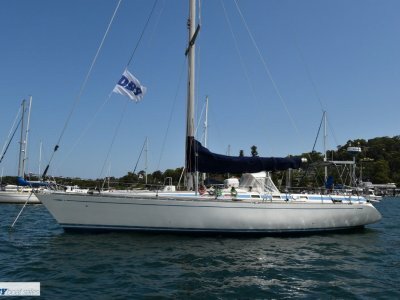 The 43 HP Nanni diesel with 3 blade s/s feathering prop ensures good cruising speeds under motor and a well-designed sail plan provides effortless sea miles are covered each day, ideal for east coast cruising to get to those shallow water anchorages. Serviced June 2018. The cockpit is large and very comfortable with full clears and cushions all round. 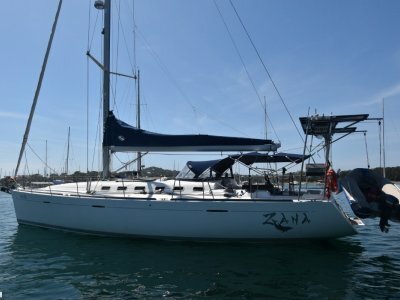 She has an extensive list of navigation and safety equipment and is sail ready for her new owners. Number of Batteries : 4 x 220 AGM 2017 House, 1 x 220AGM 2017 dedicated Start. Dedicated anchor battery 1 x 220 AGM 2017. Smart Charger that charges from shore power or generator. Propeller : 3 blade S/S feathering propellor. Accommodation Notes : Island bed stateroom aft with Queen size bed and ensuite. Light, spacious area with ample storage. Double V berth forward (can convert to 2 singles with V berth cloth. Nav station - ample storage. Saloon seats 8, with additional 4 seats opposite. Number of Showers : 3 including deck shower. Shower Type : Isotherm hot water system. Engine heated. Onshore capable 240v. Toilet Type : 1 x Jabsco Lite flush with macerator, 1 x Jabsco manual. Holding Tank (L) : 2 tanks. Galley Notes : Good pantry and crockery storage. Stove : 4 burner gas top and grill, oven with rotisserie. Electric solenoid with gas detector. Refrigeration : Large top load. Eutectic and engine driven compressor. Number of Freezers : Large top entry. Eutectic and 12v compressor. Entertainment and Appliances Notes : Fusion AM/ FM Radio, MP3. Digital 12v TV. Anchor / Winch : Manson Supreme + sand anchor. Bilge Pump : 2 x electric, 1 x manual in cockpit. 1 x engine driven bilge with 4 pick-up points selectable. Deck Gear : Fenders 5 x large, 2 x small. 2 x boat hooks. S/S BBQ rail mounted and gas bottle. Sail Inventory : Main, furling Headsail, Trisail. Electrics : Bell 150 amp alternator with Smart Charger. Solar panels x 3. Electronics Navigation : Raymarine ES780 Large 12 inch screen. AIS - Receive and Transmit - 2017. Radar. Gyro compass. Auto Pilot computer and spare wheel driven Auto Pilot. Second Chart Plotter at chart table. Furuno radar in cockpit. Barometer. Inverter - 500. Dinghy : 2016 Highfield Dinghy with 2.3 4 stroke air cooled Honda outboard on S/S davits. Covers : Custom fully enclosed Bimini for safety and comfort. Foredeck cover. Safety Gear : 8 person life raft, 406 EPIRB - renewed 2017.2 x Life rings. 2 x 3kg fire extinguishers, 1 x Co2 engine compartment extinguisher, 1 x fire blanket. All equipment instruction manuals. Foghorn. V Sheet. Emergency tiller. Jack safety lines - length of boat. Life lines. Ground Tackle : 1 x Manson Supreme 46kg with 90m gal chain. 1 x sand anchor - 10m chain and nylon rode. Radio : New iCom VHF radio with DSC and additional remote microphone in cockpit. HF radio - iCom with Pactor modem. Remarks : Built to Survey - watertight bulkheads with independent bilge pumps. 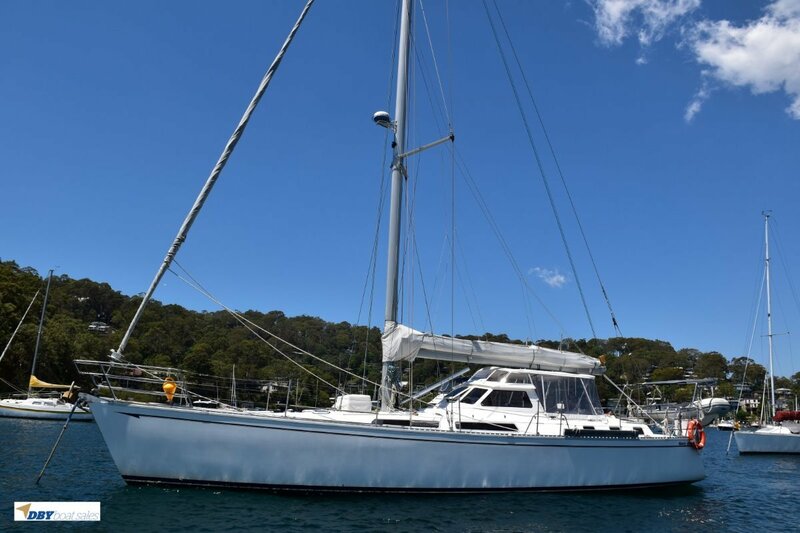 Meticulously maintained and cruising ready!